Donald M. King is president, and chief executive officer of The King Group Realty. The King Group is a full-service commercial real estate firm which has developed, acquired and managed some of the most prestigious properties in Northeast Ohio. As the founding partner of the King Group, Mr. King has over 25 years of experience in many aspects of commercial real estate. Furthermore, he is recognized as an expert and highly respected for his knowledge in the commercial real estate industry. The King Group has been one of the largest owner/operators of suburban Class A office buildings in Northeast Ohio. In the past decade, Mr. King has negotiated some of the largest commercial leases with major companies in the region. Mr. King has been opportunistic and had the vision to reposition numerous properties and ultimately was able to create tremendous value for The King Group, its investors, and its partners. 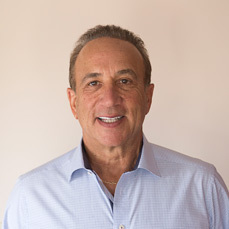 Prior to The King Group, Mr. King began his commercial real estate career in Los Angeles, California, where he worked at a high-end boutique real estate firm that represented corporate, entertainment and computer technology companies. Before relocating to California and starting his career in commercial real estate, he attended Ohio State University in Columbus and shortly thereafter opened Cleveland’s first disco-tech, A Touch Of Class. Mr. King is an avid Cleveland booster and an active community leader. He served as co-chairman of the athletic events for 1994 JCC North American Maccabi Youth Games held in Cleveland, Ohio. He was elected as a delegate to the 1995 White House Conference on small business and was a graduate of the Leadership Cleveland class of 1997. Mr. King has served on the boards of the Jewish Community Center, the Cleveland Convention & Visitors Bureau, the Positive Education Program, and Beechmont Country Club.